Other than the Royal Liverpool Golf Club at Hoylake, there is no older golf club in Cheshire. "At a meeting of gentlemen interested in the formation of a Golf Club for Macclesfield & neighbourhood held at the Bull's Head Hotel on Wednesday the 30th October 1889 - it was resolved that the gentlemen present should form themselves into a club for the playing of the game of Golf, to be called the Macclesfield Golf Club." 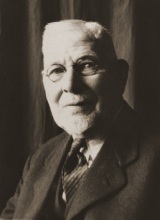 Mr W. H. L. Cameron, who had played some golf in his youth in Scotland, was elected as the first Captain and Mr P. P. Brocklehurst, a local landowner and head of a town bank was elected as President. Mr. Cameron had obtained permission to form greens and play over land, which was then part of Upton Hall Farm. Play on the nine-hole course started immediately. Three weeks later Mr Lowe the Professional from St. Anne's was brought to play over the course, with the exception of two holes which needed alteration. Mr. Lowe declared the course to be satisfactory. That course remained the home of the Club until 1901. On 26th December 1889, Dr. Duffus won the first competition held at the Club by 35 strokes being one of the few competitors who had previous experience of the game; the Captain gave the first prize. In 1890, the President "most handsomely offered to present a Challenge Cup". This trophy, the Brocklehurst Cup has been competed for annually since 1890 and is the Club's oldest trophy. "Mr Cameron's Bowl&qout; is the next oldest prize; this being given by the Captain for the first knockout match play competition, which was held 1894/1895. The Ladies too have some very old competitions such as the Rhodes Cup, which has been played for at the club since the early 1900's. This cup, which was presented by Rev. A. H. Rhodes then vicar in Macclesfield, was not initially for Ladies but after leaving the town he asked that it be played for annually by the Ladies Section. Since those times it has been the trophy for the Ladies Match Play. A trophy which is nearing it's centenary is the President's Cup. The Club's second President, Brig.-Gen. Sir Wm. Bromley-Davenport, donated this fine trophy in 1910. Sir William joined the club in 1894 and was President for almost 50 years until 1949. There are many more "Major" trophies played for every year and each is steeped in the history of the club. In 1901 the Club moved to the present site on the Hollins and the land was much prized because of the fine upland turf. For the next 45 years the layout of the course changed little, though much was achieved, in course improvement, through fairway drainage work and the building and enlarging tees and greens. The main pressure points for change over the first half of the century were the desire for an 18-hole course, ownership of the land and the problem of trespass. The last of these was caused by the Public Footpath, which ran along what is now the 10th fairway. The land below the footpath was treated as a common for the town, with football, gambling and other sport interrupting golf. After the Second World War changes began. The golfer of that time would find today's course very unfamiliar. Only the 3rd, (then the 4th), remains largely as it was then. Land was purchased and, over a few years a new course was laid. The 1st, 2nd and 7th were re-routed and the 4th, 5th and 8th built as new holes with the 9th being significantly shortened. In the late 60's much effort to have the footpath re-routed came to fruition and the present 10th was made possible as a new 8th hole. The desire for an 18-hole course, which was first raised seriously in 1913 and had resurfaced regularly through the century, was finally made possible by advances in course construction techniques. Land that had been previously been rejected was obtained. To move to the present course ten new holes were built (5th, 6th, 7th and 11th to 17th) and opened on 29th May 1993. The recent opening of the redesigned 2nd and 9th greens is part of a continued commitment to improve and modernise over time. Because of the terrain Macclesfield has always been thought to be a good course on which to learn the game. 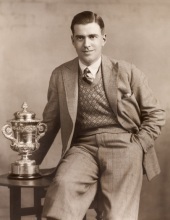 John Abraham, a lifelong member of the club and Captain on two separate occasions joined as a youth and became an outstanding amateur, winning the Cheshire Championship in 1935. Within the Club he won the Captain's Prize six times.